The Patrol Division is the “Heart and Soul” within the department from which all other bureaus, sections and units operate. Patrol Officers account for the vast majority of all personnel and are responsible for the day to day operations of the police department. Officers assigned to the Patrol Bureau work 24 hours a day, 7 days a week, 365 days a year. There are 39 Officers assigned to the Patrol Bureau, which are separated into four Platoons. The four Platoons are A1 (day), A2 (night), B1 (day) and B2 (night). Platoon A1 and A2 is supervised by one Lieutenant and four Sergeants. Platoon B1 and B2 are supervised by one Lieutenant and four Sergeants. There are also 4 Class II (SLEO II) Special Officers , who provide court security, traffic assistance and are detailed to other administrative duties. All of the officers wear full uniforms, and patrol the confines of the Township in marked police cruisers. Patrol Officers respond to all calls for police service and generate most of the initial investigations that are later followed up by detectives and investigators. Patrol Officers are also responsible for motor vehicle enforcement throughout the Township. Marlboro Township handles approximately 2000 incidents per year that are considered motor vehicle accidents. The patrol division officers are highly trained in motor vehicle enforcement and crash investigation. They respond to all reported motor vehicle accidents and hit/run accidents within the township limits. They are assisted by the Traffic/Safety Unit when the accident is of a more serious nature. 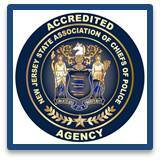 Almost all of the patrol division officers are trained and certified as NJ State Emergency Medical Technicians. They receive basic first aid and CPR training at the police academy and when they graduate, are sent for a 3 week additional course in advanced medical treatment. They carry oxygen, first aid supplies and automatic defibrilators in the patrol units. They assit the Township's Emergency Medical Services in handling approximately 4000 first aid calls for service per year. The patrol division also handles residential/business burglar and fire alarm activations; assists with citizens locked out of their homes and vehicles and all initial calls for service regarding thefts, threats, assaults and domestic violence disputes. Overall the officers handle nearly 40,000 calls per year.